Wouldn’t it be nice if everything in life were black and white, everything could be known or perceived from one point of view (POV)? Nonetheless, life being what it is, is best interpreted from multiple perspectives and seeing something from someone else’s POV can be not only beneficial but can add so much beauty and clarity (and sometimes curious confusion) to the overall landscape of life. We see this a lot in the court room. More often than not, the plaintiff is asserting their point of view, while the defendant defends their point of view. Rarely, if ever, does the plaintiff conceded to the defendant’s point of view, even though there is always another point of view. Wouldn’t be easier if everything could be seen and fully understood or appreciated from one point of view? Absolutely, but unless you’re a character in a story book, that is never going to be the case in the 3-D world where we live. Someone who insists on only seeing everything from their own perspective we consider as self-obsessed and we refer to them as being narcissists, and they insist on making the world match their point of view. The advantage of doing so is that you have the ability to structure your world in such a way so as to find comfort in your own limited view of your black and white world. How nice would that be? For the rest of us in the real world, life is a little more complicated. And you were so passionate about it, that left to your own judgment, you might want to kill his own wife and children in front of him prior your executing him. We all could appreciate that point of view, right? So, I am working with this person who was experiencing conflict in his life because this is the way he felt. When he came to me he was suffering from Post-Traumatic Stress Disorder (PTSD) and who wouldn’t, if that very same person while carrying out orders in service of the USA, killed women and children. This would create great inner conflict in anyone with a heart. Left to his own devices he may have taken his own life, just like 22 military personnel who commit suicide every day. War is a nasty business, and it does take its toll on those who are not lucky enough to be sociopaths and/or psychopaths. PTSD is a horrible condition that locks a person into a certain limited point of view. Victims are so impacted by a particular experience (often tragic) that they find themselves unable to escape. 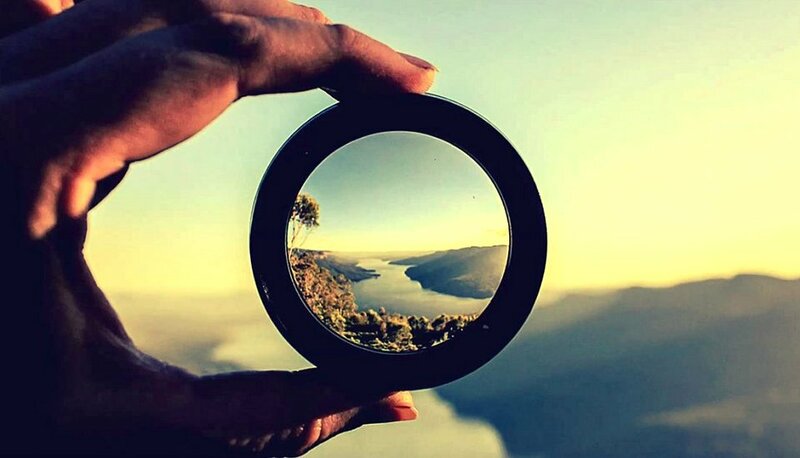 An important part of the process includes being able to lift one’s view from outside yourself, far enough to see things from other points of view gives us perspective, but when you’re so immersed, it just seems like it’s too much to even conceive of. Life, law, liberty, finding ways just to make it through each day, the pursuit of happiness, it’s all so very more complex than we might like it to be. But we can make it through much easier by trying to see things from other points of view to gain a better overall perspective. Even so, since you can’t really know what goes on inside someone’s else’s head and/or heart, if they are so inclined, they could share their point of view with you. If you can empathetically see and/or feel from their perspective, you may find yourself getting a sense of what it might like to be that person in that moment, in a sense, walking a mile in that person’s shoes. It is then that one realizes that life is not limited to our own perspective. What looks like one thing to one person might look like something completely different to someone else. To see an automobile accident from the highway looks completely different to someone actively involved in the accident. Even the experiences of two drivers involved in the same multiple-vehicle accident do not experience the accident the same way. You could live a judgmental life, criticizing everyone who doesn’t see things like you do, maybe even ostracizing the dissidence, leaving you safely comforted by living your life like you want to, or you could consider becoming a part of the family at large. It will take some effort on your part to do it, but it will be worth it, as you experience a greater connection with other people by integrating your life with theirs. Yes, that is the caveat; connecting with other people in a meaningful, transparent way will leave you vulnerable. You will be vulnerable, just as they will be. Once you start feeling a life with your feeling in tact and sharing those feelings with someone else, it allows your feelings to be hurt. But it also opens the gates to love. Trust me, love is worth it. It’s up to you, though.